Toptal is proud to sponsor the next gathering of the React Vancouver Meetup, taking place January 30 at 6pm. This meetup welcomes all React experts and enthusiasts, who regularly get together to share knowledge and experience. Hanah Yendler: So you don’t have a working API…now what? Timothy Beamish: Web App DOs & DON’Ts. 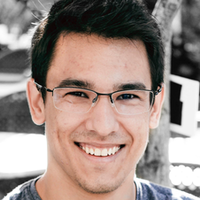 This will also be an opportunity to meet up with Luiz Ferreira, a Toptal developer and Community Leader for Vancouver. Come get to know the local community, and feel free to invite a guest if they would be interested in finding out more about Toptal.